On this page you can find out with which means of payment you can pay in Venice. The subject of prices in Venice is dealt with on another page. 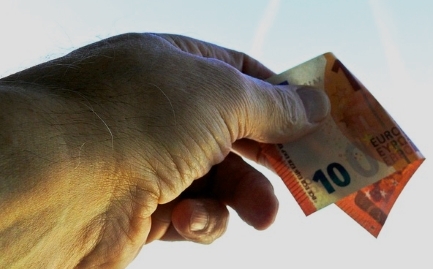 Paying with cash is still possible almost everywhere in Italy. The currency is the Euro. As in most countries, it replaced the national currency in 2002. The Italian lira has been history ever since. Since the prices in Venice are relatively high, 100-Euro bills are usually accepted. With 200 euro notes or even 500 euro notes one has problems in many shops. The problem with traveling with cash is the risk of theft. Even though Venice, at least in our opinion, has less theft than southern Italy, such as the city of Rome or the Naples region, there are still many pickpockets. Again and again, there are warnings against thieves in public transport (bus, train, tram and water bus). Often thieves are on the move when the crowd is big, as in crowded buses, trains or ferries in the high season. Also at the central station Santa Lucia and in and around the very big sightseeings in the districts San Marco and Rialto, for example, there are always thefts. A German conductor in the Eurocity from Venice to Munich told me that he has almost daily passengers (mostly tourists) in the train, who became victims of a theft in Venice. They were often stolen during the last minutes of their vacation at the Santa Lucia main station. The EC cards should bear the words "Maestro". This is the case with most cards. With these money cards you can pay - also in hotels, petrol stations and so on. Also the EC-Cards with the newer system "VPAY" are more and more accepted in Venice. EC cards can also be used to withdraw money from ATMs. The fees for this are different, your bank in Germany or Austria knows the amount of the processing fees. While customers from Germany often pay fees to third-party banks when withdrawing money, this is less often the case with cards issued by banks in Austria or the Netherlands, for example. In the meantime, some banks in Germany also offer free withdrawals at all ATMS throughout Europe or even worldwide with EC cards or credit cards. It is often cheaper to withdraw a larger amount from an ATM abroad than to withdraw smaller amounts several times. Deutsche Bank also has branches in Venice. Here, German customers of the bank can also withdraw money free of charge from ATMs. There are enough ATMs in Venice. In very touristic areas in the old town or at the train station, however, these are not always sufficient and queues form. 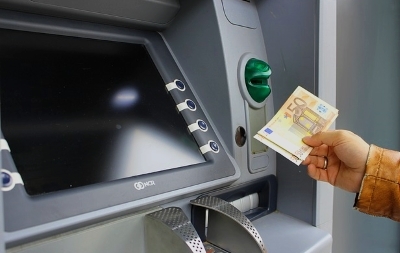 You you can also withdraw cash with credit cards at ATMs in Italy. However, this can cost considerably more than using an EC card. In our opinion, direct payment with credit cards such as Visa or Mastercard is even more common in Italy than in many other countries in Europe. 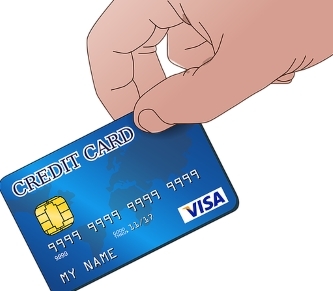 Most hotels like to take credit cards, often you need such a card already when booking your accommodation in advance on the internet like at Booking.com. Also ticket machines of the Italian railway etc. usually take credit cards. With some vending machines you can even only pay cashless with a card (no cash). Also the payment in shops, supermarkets, gas stations etc. is often possible in Venice with a credit card (carta di credito). In addition to Visa and Mastercard, you can pay in many places in Italy with cards from Diners Club or American Express, for example. Many tourists in Venice come from the USA, Canada, Australia or Asia. Credit cards are very common in these countries and regions. Therefore, paying by card in Venice is often considered to be completely normal even if the amount is not so high. Traveller Cheques (traveller's cheques) have also become rare among holidaymakers. We haven't seen any tourists in Europe who have tried to exchange traveller's cheques. To our knowledge, the good old Eurocheques no longer exist in Italy and all Europe. In taxis in Italy and water taxis in Venice the amount is rounded up. The cleaning staff in the hotel is of course happy about a few Euros. The cost of living in Venice is high, but the wages for such jobs are usually low. The service is often already included in restaurants in Venice and throughout Italy. If this is the case, no tip is actually expected. But the waiter is still happy.